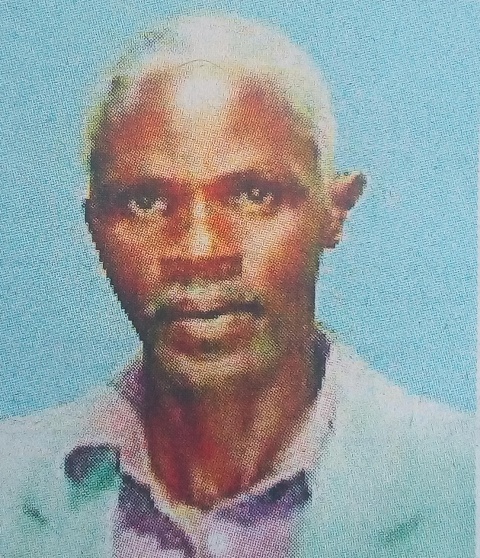 It is with humble acceptance of God’s will that we announce the passing on of Philip Kituu Maingi of Kwa-ukungu village in Changwithya East Location, Kitui Central on 11th February 2019. 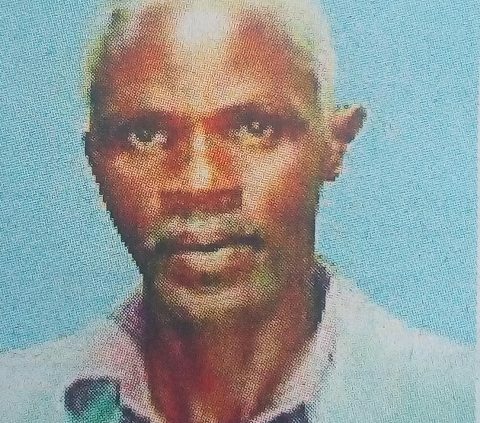 Husband of Priscilla Syong’ombe; Father of Tom (Kenya Bus Services Management), Raphael (National Intelligence Service), Oscar (Kitui Teachers College), Stephen (E.A.O. Oyaro & Co. Advocates), Maurice (AfriLand Valuers limited), Judith (KenGen), Gerald (Accountant) and Muthui. Brother of the late Mwoni Maingi, the late Mutua Maingi, the late Kuthu Maingi, and the late Kavuvi Kituku. Brother-in-law of the late Musyoka Kavua, Syomiti Mwiwa, Phelomena Mulwa and Augustus Kavua. Father-in-law of Josephine Serah, Margaret Nzisa, Rachael Mbeke, Dorcas Mukai, Peter Makuthu, Fideris Kathoni and Ann Koki. Grandfather of Philip, Priscilla, Ndanu, Cedric, Faith, Meshack, Michael, Barnabas, Jacob, Peter, Laveen, Prisca and Maximilian and uncle of Richard Munyalo Mutua, Paul Kavunze Mwoni, Nicodemus Kameta Kuthu, Monica Maingi and many others. 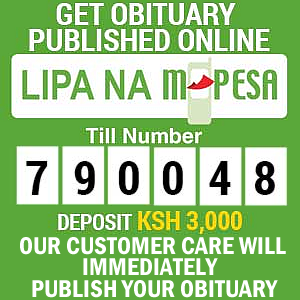 Friends and relatives are meeting at Holy family Basilica Plaza in Nairobi, in Naivasha and at his home in Kwa – ukungu village, Kitui Central. The cortege will leave Tribute funeral home (Kitui) on Wednesday 20th February 2019 at 0800 for funeral service at his village’s Nzunguni play ground, starting at 1000 hours and thereafter burial at his home.